I know exactly what you’re thinking. Long time no blog. Well things like college take priority around these parts. If I wasn’t preparing myself for a test, I was writing a paper. And I enjoyed the tests more than the papers. Why? I love writing, but this semester took allot out of me. But now that I’m done, and have refused to take summer classes, we are heading back to our regular scheduled programing. Today, we are going to talk about soap. Why? Because we buy it all the time, and take it for granted. Especially Hand Crafted Soaps. When we think About Hand Crafted Soaps, we thinks about earthy basic and boring looking. This is NOT the case for the Beauty within Us Soap Studio’s Hand Made Soaps. They are ridiculously pretty, uniquely designed and have great ingredients. And I want to also apologize to the company and the owner in advance for taking so long to write my review. But first, let’s talk about the company. The Beauty within Us Soap Studio is a company that makes artisan bath, body, and face products. They are a cruelty free company, which means that they do not test their products on animals. They use all natural ingredients such as natural oils, vegetable and carrier oils (coconut oil, avocado oil, castor oil, olive oil, and soybean oil), and all natural butters (shea butter). The Soap I received was the Feminine Spa Fresh Kai. This soap is made with Rice Bran Oil, Coconut Oil, Palm Oil, Shea Butter, Avocado Oil, Castor Oil, Fragrance, and Pigment. Now The Company website describes this product scent as “light” and “intoxicating”. The scent was in fact light, and I could not help myself from not constantly putting the soap to my nose. It smelled so good. I would describe the scent as a mix between something both floral and fruity at the same time. The scent is Feminine, fresh, and fun. Definitely an all-around seasonal scent. Now onto the actual review. I will say you have two cons about the soap. One is that the soaps scent leaves the soap if you leave it unwrapped. However, when you use the soap in the shower or just to wash your hands (I did both), the scent comes right back. Another con, which you can decide whether or not it qualifies as a con, is that this soap will leave you feeling squeaky clean. Like ridiculously clean. Now, I don’t think that this is an issue, especially if you like feeling squeaky clean (which I do). But some may associate that feeling with feeling dry after coming out of the shower. But I will say I love the feeling of feeling clean. That brings me to the second product review, which is a sample of one of the company’s lotion. I don’t exactly what the product name is, but it smells so good. And it paired so well with soap. The soap gives you that squeaky clean feeling, and the lotion adds the perfect amount of moisture. The lotion was a bit thick, but very smooth. And my skin loved it. That sample pack really went a long way. There was not cons to the lotion, except the fact that I wish I had more! I do want to make some comments about the company’s website. I love the assortment of different products and the fact that there are so many different products to choose from. And they are all reasonably priced. 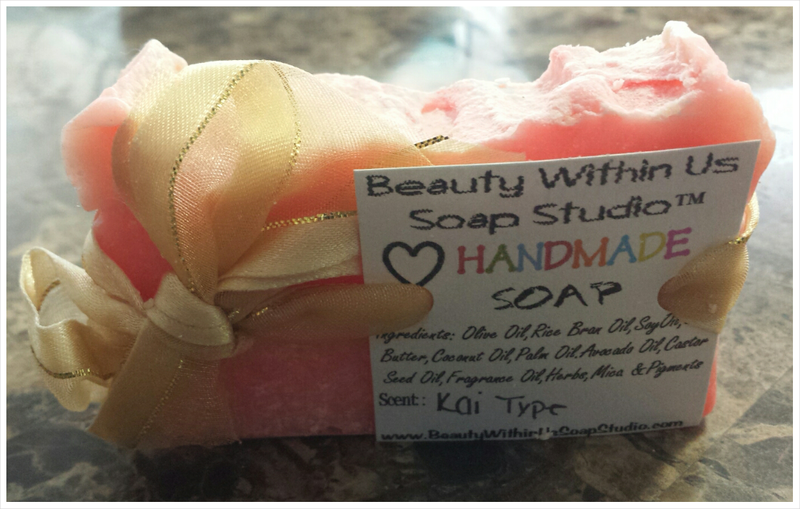 I say check out the Beauty within Us Soap Studio Company. They are definitely bringing something new to the Natural, and Artisan Industries. 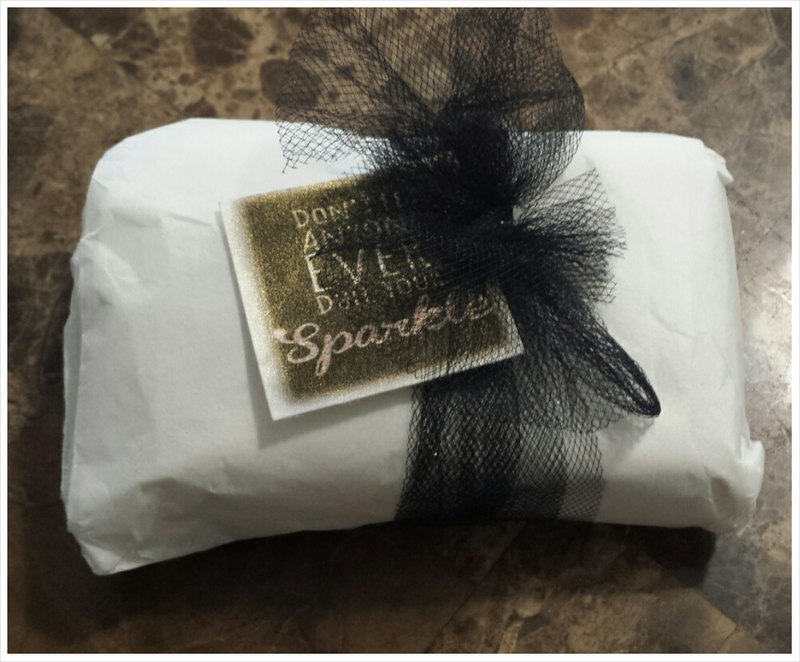 These products were sent to me courtesy of The Beauty Within Us Soap Studio for testing/reviewing purposes only. This is NOT a paid review.